After the evacuation of a large part of the 1940 British Expeditionary Force (B.E.F. ), many of those left behind were severely wounded. For many of these officers and men, they had suffered life changing- and in some cases life threatening injuries. Also among those left behind in the early summer of 1940 were medical staff of the Royal Army Medical Corps (R.A.M.C.). 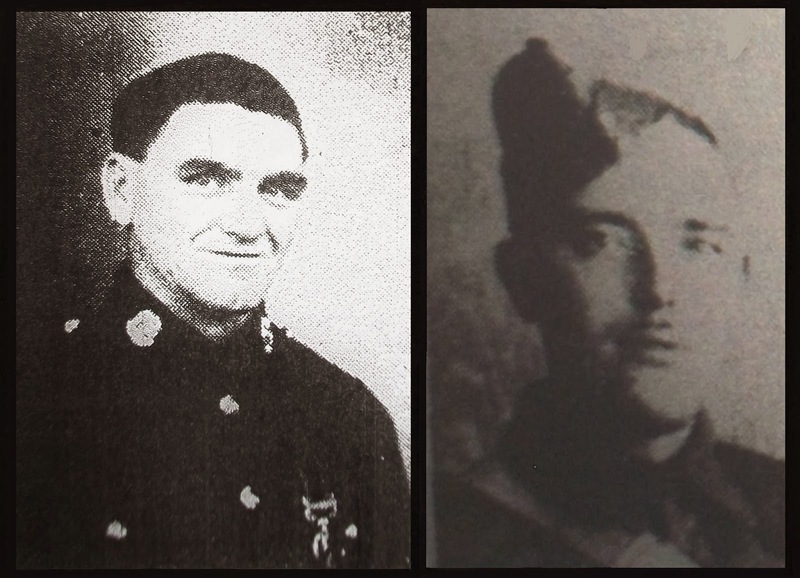 What happened to these severely wounded officers and men? This is the main question that will be considered in this article by looking at a few individual cases. After the withdrawal of the main part of the B.E.F. those left behind became P.O.W.s of the Germans. Many of the most severely wounded cases were cared for in a P.O.W. hospital near Dunkirk. Those that survived were subsequently transferred to other hospitals in France or Belgium and eventually to P.O.W. camps in Germany. Lille, in the French 'Nord' department was one of the places that severely wounded cases were transferred to in the summer of 1940 where a number of buildings were requisitioned. Wounded officers were housed in staff or student rooms of the Lille's Catholic University (the 'Faculté Catholique') while wounded of other ranks (O.R.s) were treated in the university chapel [Photograph No. 1]. A small number of officers and men who recovered sufficiently before being transferred to Germany were able to make good their escape from the hospital at Lille. Usually, this was with the assistance of French civilians and those treating the wounded - these were the early days of the Allied escape and evasion lines. In fact, one of the officers who escaped from hospital in Lille and eventually make it back to Britain became a key figure in MI6 and MI9 - Lieutenant James Maydon Langley, M.B.E., M.C. of the Coldstream Guards. After being transferred to P.O.W. camps in Germany many of the most severely wounded cases were eventually considered for repatriation in an exchange arranged with the assistance of the Red Cross. However, one significant exchange of prisoners in 1941 that had been provisionally agreed between the Germans and the Allies was cancelled at virtually the last minute. A group of these prisoners, who had been taken to Rouen with the expectation of embarking for Britain, can be seen in Photograph No. 2. Following the cancellation of this prisoner exchange was cancelled, the Allied P.O.W.s were re-transported back to Germany. Eventually however, in 1943, an exchange of the most severely wounded cases did take place, Two of the soldiers who were repatriated in this exchange were Sergeant Tom G. Rimmer and Lance Corporal John Gill, both serving with the 5th Battalion The Border Regiment. Their photographs can be seen in Photograph No. 3 (above). A number of wounded soldiers and airmen of the B.E.F. were eventually able to regain sufficient health to make an escape attempt. With good fortune, sometimes with the assistance of the French hospital staff or volunteers and usually aided by civilians, some of them were able to escape from the hospital where they were being treated. 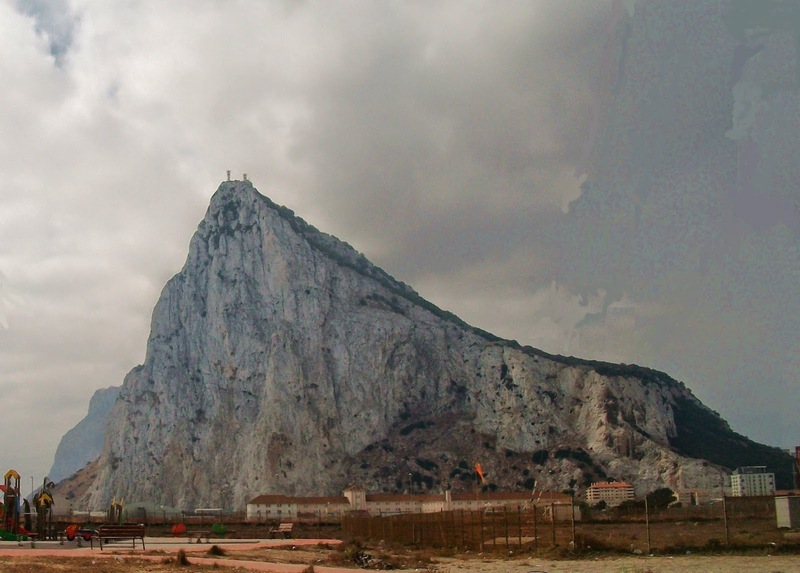 If their good fortune continued they were then able to make their way southwards through France, across the Pyrenean mountain range, into Spain and eventually cross the frontier to the British fortress of Gibraltar from La Línea de la Concepción, Spain [Photograph No. 4]. 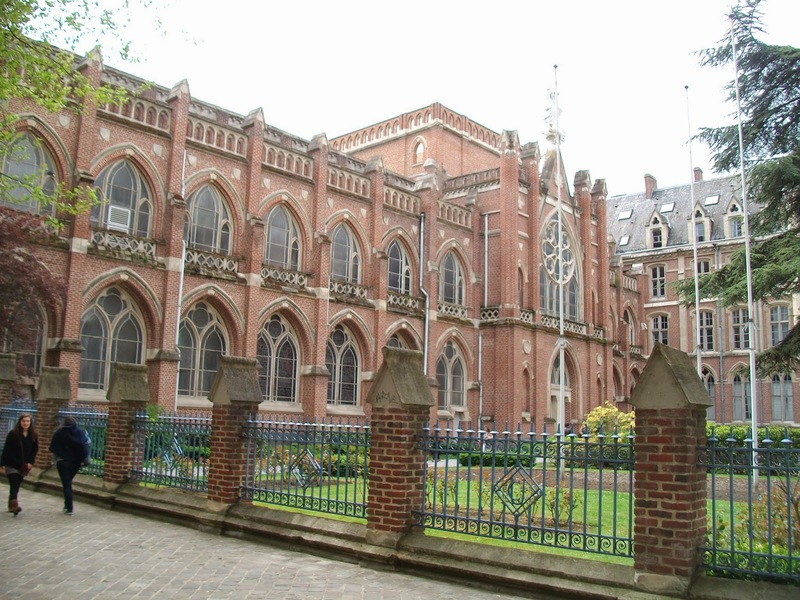 The Catholic University of Lille, sometimes referred to locally as the 'Faculté Catholique' or more popularly as the "Catho", was founded in 1875. It is a private university, founded with the active support of the Catholic Church - a faith which is traditionally strong in and around Lille - and a group of wealthy Christian businessmen and entrepreneurs from the area. To begin with, there were five faculties - Law, Arts, Science, Medicine and Theology - although others have since been added. It is now called the "Université Catholique de Lille".As a Catholic university, the chapel (seen in Photograph No. 1 above) has been an integral part of the institution from its earliest days. During the First World War the city of Lille was occupied by the Germans for four years (October 1914 - October 1918) and many of buildings were requisitioned by the occupiers. Lille was again occupied by German invaders between 1940 and 1945. Shortly after the fall of France and the evacuation of the remnants of the B.E.F. from Dunkirk a number of the university buildings were given over to the temporary care of severely wounded British soldiers. When the P.O.W.s were deemed fit enough they were transported to P.O.W. camps in Germany. As outlined in the introduction, British officers were housed in staff or student rooms while other ranks were accommodated in the chapel. Jimmy Langley's treatment and escape. One of the wounded British officers captured at Dunkirk and who was accommodated for a time at the "Catho" in Lille was Jimmy Langley. At that time he was a Lieutenant with the 2nd Battalion Coldstream Guards, 1st Division. Lieutenant James Maydon Langley (1916 - 1983) had been wounded in the head and left arm in the defence of Dunkirk. His left arm had to be amputated at the hospital at Zuydcoote (8 June 1940). He remained at this hospital until the end of July 1940. Along with many other POWs, he was then transferred to Lille. According to Jimmy Langley, he was initially accommodated for a few days at a convent on the Rue Roubaix until 1 August 1940 when they were transferred to the 17 / 21 British General Hospital. At that time it was housed in the "Catho" university buildings as already outlined. The Commanding Officer was Colonel Robertson, D.S.O. In total, there were about 600 or so officers and men. Jimmy Langley was in this hospital until the beginning of October 1940, when he was deemed fit enough for transport, initially to Enghien (Belgium) and then to P.O.W. camp in Germany. Not wishing to remain a prisoner for the remainder of the war, on 5 October 1940 Jimmy Langley made his escape from the hospital at Lille with the assistance of French civilians. This was in the embryonic days of the escape and evasion networks. Eventually, after stays in Paris, Bourges, Vichy and Marseille then took a train to Gibraltar via Barcelona. At Barcelona, Lieutenant Langley was met by the British Consul at Barcelona. Jimmy Langley left Gibraltar on 7 March 1941 and disembarked in the U.K. on 21 March 1941. After his eventual successful escape to Britain, Jimmy Langley became one of the main players in M.I.9, the escape and evasion arm of the British secret service. He was awarded the M.B.E. and the Military Cross. Despite his severe disability, Jimmy Langley was also promoted to the rank of Lieutenant-Colonel. After the war he co-wrote (with Professor M.R.D. Foot) the definitive work about M.I.9. In 1979 Jimmy Langley wrote a personal account for hospitalised British P.O.W.s immediately after Dunkirk for the benefit of a fellow British officer who died in the hospital at Lille (Captain Michael Fleming, died 1 October 1940). "... I was transferred from the P.O.W. Hospital at Zuydcoote near Dunkirk to that at the Faculté Catholique, Boulevard Vauban, Lille which was a 'staging' hospital for the badly wounded until they were, as the Germans put it, fully 'transportable' for Germany. The medical staff were all R.A.M.C. with occasional visits by the German doctors to assist when individuals were fit to be sent to Germany. Orderlies, other than the medical, were French other ranks who were responsible for cooking, cleaning the rooms, etc. The Faculté Catholique is part of Lille University and other ranks wounded were housed in the Chapel while officers occupied what had been staff or student rooms. The iron bedsteads, straw filled mattresses and pillows, coarse sheets and blankets were French army or university issue, as were the cotton nightshirts. Food was second line German troops rations, not really adequate for the wounded or very appetising, but it was supplemented by 'luxuries' such as eggs, fruit, chocolate, etc which the General Commandant allowed the French women to give in lieu of Red Cross parcels. Officers were paid one third of their normal pay in French francs and were allowed to buy eggs, meat, cigarettes, wine, etc from the French orderlies who were free to come and go as they pleased. The visiting German doctors were courteous and considerate and made it clear that, in their opinion, all the badly wounded would be sent to Switzerland from Germany or repatriated to England, a great morale raiser. Relationships with the German staff were harmonious and I never saw any brutality. All in all, life was as congenial as far as it could be for the wounded P.O.W.s who received no letters or parcels from home and realised that their family did not know if they were alive or dead." [Source: Cumbria County Archives & Local Studies Centre, Whitehaven]. Upon his return to Britain in March 1941, Jimmy Langley was initially recruited as a liaison officer to serve between M.I.6 and M.I.9. From this time and for the remainder of the war, most of his work was involved supporting the escape and evasion lines in N.W. Europe. Sergeant (later Pilot Officer) Jim 'Ginger' Phillips, R.A.F., 54 Squadron, was a British airman shot down and taken prisoner in France at the time of the Dunkirk evacuation. Sergeant James William Bristowe Phillips was the son of William Alexander Phillips and Muriel Alice Phillips. A regular with the R.A.F., he was shot down on 24 May 1940 between Cap Gris Nez and Calais by a BOFORS gun. With the petrol tank of his plane having been holed, 'Ginger' Phillips was forced to bale out, breaking one of his legs in the descent. Having landed in "No Man's Land" and not being mobile, he was captured by two Germans, initially taken to a C.C.S. at Desvres (about 12 Kms east of Boulogne) where the Germans set his broken leg in plaster. Afterwards, Sergeant Phillips was moved to a French hospital at Boulogne where he spent two nights, followed by four nights at the English hospital and then to the English hospital at Camiers (17 / 21 British General Hospital). which was run by the R.A.M.C. As was the case with Jimmy Langley, 'Ginger' Phillips was subsequently moved to the 'Faculté' at Lille when the British 17 / 21 General Hospital was ordered there by the Germans. According to 'Ginger' Phillips, the transfer took about two days: the most badly wounded were the last to be evacuated from Camiers under the guidance of the British C.O., Colonel Robertson, R.A.M.C. The hospital was run by the R.A.M.C., assisted by the French, but the Germans posted sentries outside. 'Ginger' Phillips remained in the makeshift British hospital at the 'Faculté' until 27 August 1941. That was the day he finally made his escape. "With regard to the food during my stay at the Faculté, the difference between that enjoyed by the R.A.M.C. and the patients was remarkable. The officers and N.C.O.s had plenty of everything and I am in a position to say this as I was employed in one of the food distribution rooms. They not only had the rations, but were allowed to but food in the town and even took the pick of the provisions, brought in by French civilians for the benefit of patients. At one time there was nearly a mutiny over this. The rations received by the patients were only what the Germans provided and what was left of voluntary contributions by the inhabitants. The distribution of these gifts of food was so badly organised that a lot was wasted. As French civilians were allowed to visit and bring food for the patients, I decided to get in touch with someone, who would be able to assist me with escaping. I wrote my name and particulars on a bit of paper, attached to a piece of leading, and threw it out into the street, hoping it would be picked up by someone outside. I got in touch with a Mme. X who wrote to me; the letter being brought into the hospital by an Irish nun. After a time I learnt that she was willing to help me escape, so I set about providing myself with civilian clothes and a means of getting out of the Faculté. The food brought into the hospital was often wrapped up in bits of clothing and from these I managed to get a coat, trousers and a beret. I decided it would be better to escape through the day, preferably between 2 and 4 p.m.
At first I thought a room occupied by some French officers would provide the best exit, as this window overlooked the street. I managed to make a key to open the lock, but was seen by an R.A.M.C. orderly, who afterwards made a point of ensuring that I was in bed every night, when he came on his rounds. As that means of escape was not good, I found a gate which led into some gardens, the lock of which was not in good condition. The gateway was not used, but a R.A.M.C. orderly was posted there after two P/W who had got away by climbing the wall. I made friends with this man, hoping that one day for some reason he would let me stand guard for a few minutes, when I would be able to get away. About a week before I escaped from the Faculté, the Germans planted two 'stool pigeons' amongst us, whose main object seemed to be to discourage anybody from escaping. I then wrote to Mme. X and arranged a rendez-vous. On the 27th August, I left the Faculté by this gate, having first changed into civilian clothes. Once clear of the grounds, I strolled as slowly as I could towards the rendez-vous and for the first hundred yards was in sight of the German sentry, whom I heard, after I passed him, turn round and watch me. At the rendez-vous I was met by a man, Monsieur Y who had a tandem cycle with him, and on this we rode to his place. I did not actually stay with Mme X as she lived alone and it might have created suspicion." Sergeant Jim 'Ginger' Phillips, R.A.F.,M.I.6 escape report, 15 March 1941. According to Oliver Clutton-Brock, in his comprehensive work 'R.A.F. Evaders' about WW2 escapers and evaders in N.W. Europe, the "Mme X" who assisted Jim Phillips with his escape was Mme. Jeanne Voglimacci. Mme. Voglimacci owned a hairdressing salon at 1, rue de Turenne in the La Madeleine district of Lille. This address was, for a time, the 'safe house' in the north of none other than one of the notorious British traitors of the war - Sergeant Harold ('Paul') Cole - who later betrayed many of the French Resistance workers throughout France. However, as 'Ginger' Phillips explains in his escape report, he did not stay at the Mme. Voglimacci's address and it is unknown if he came into contact with Harold Cole. In the same book about R.A.F. evaders in WW2, Oliver Clutton-Brock has also identified the "Irish nun" referred to in the testimony of Sergeant Phillips. This was Sister Olga Baudot de Rouville, who was in fact not a religious sister but a French Red Cross nursing sister at the "Catho" in Lille. A devout Roman Catholic, Sister Baudot de Rouville used to give at least some of the patients prayer cards of Catholic saints, especially those of the French Carmelite nun, Saint Thérèse of Lisieux (1873 - 1897) to whom there was a strong devotion among French Catholic soldiers. Sister Baudot de Rouville would become one of the key members of the Garrow / Pat / Françoise escape network. Her direct involvement in the escape network began with 'Ginger' Phillips - he was the first she helped to escape from the Germans. The main 'nom de guerre' of Olga Baudot de Rouville in the French Resistance, and by which she became mainly known, was 'Thérèse Martin', the true name of St. Thérèse of Lisieux so it is perhaps understandable why some of the wounded prisoners might think she actually was a religious sister. It would take Sergeant Jim Phillips several months before he eventually made it back to Britain. He remained in hiding at Lille until 17 January 1941. Then, after obtaining a false identity card from the Mayor of Lille and accompanied by a young Frenchman, he was finally able to make an attempt to reach Unoccupied France, the first step home. He crossed in to the Unoccupied Zone two days later (19 March 1941). Sergeant Phillips and his French companion then travelled onwards by train to Marseille. The following day Sergeant Phillips and another escaping British airman, Sergeant Roy Massey, took another train to Perpignan, then a bus to Maureillas close to the Spanish border. After crossing into Spain and reaching Figueras, the British airmen were arrested and interned for several weeks at a number of locations (Castillo de Figueras, Cerveca, Saragossa and Mirando del Ebro). Finally, after contacting the British Consul, 'Ginger' Phillips was released. He was taken to Gibraltar and flown home by a Sunderland flying boat on 13 May 1941, arriving at Mountbatten the following day. Interestingly, the restricted distribution list of his escape report, which is now in the National Archives at Kew, included Lieutenant Jimmy Langley. It will be remembered that Lieutenant Langley escaped from the hospital at Lille later than 'Ginger' Phillips but had managed to reach Britain in March 1941. By May 1941, Jimmy Langley was already working as a liaison officer between M.I.6 and M.I.9 and so was included on the distribution list for the escape report of 'Ginger' Phillips. On 1 January 1942 James William Bristowe Phillips, D.F.M. was promoted from Sergeant to Pilot Officer. A few weeks later, on 25 March 1942, Pilot Officer Jim Phillips, D.F.M. was killed in an air crash at the age of 31. His final resting place is at Littlehampton Cemetery, Sussex (Section D, Grave 4268). Among the severely wounded members of the B.E.F. who were left behind after the withdrawal from Dunkirk were many who had life-changing injuries. For example, some of them had lost one or more limbs or had been blinded and would not be able to continue serving in the Armed Forces. Among the German P.O.W.s in British camps and hospitals were some who had similar life-changing injuries. By the Geneva Convention the exchange of such severely wounded prisoners was allowed. So, what happened to the most severely wounded P.O.W.s of the B.E.F. after they were transferred from the hospital at Lille to P.O.W. camps in Germany? In 1941 a prisoner exchange was arranged and about 300 officers and men were taken by train from Germany to Rouen (France) ready for embarkation. No exchange would take place on this occasion. It was cancelled by Adolf Hitler. Photograph No. 2 (above) shows a group of British soldiers and airmen at Rouen waiting for the the repatriation that never happened. This photograph was subsequently sent home by Sergeant Tom G. Rimmer, 5th Battalion The Border Regiment (seen bottom right on the photograph) and appeared in 'The Whitehaven News' in March 1942. Most of the men seen in the photograph had lost either an arm or a leg. Sergeant Rimmer had his left leg amputated after the fighting at Dunkirk. 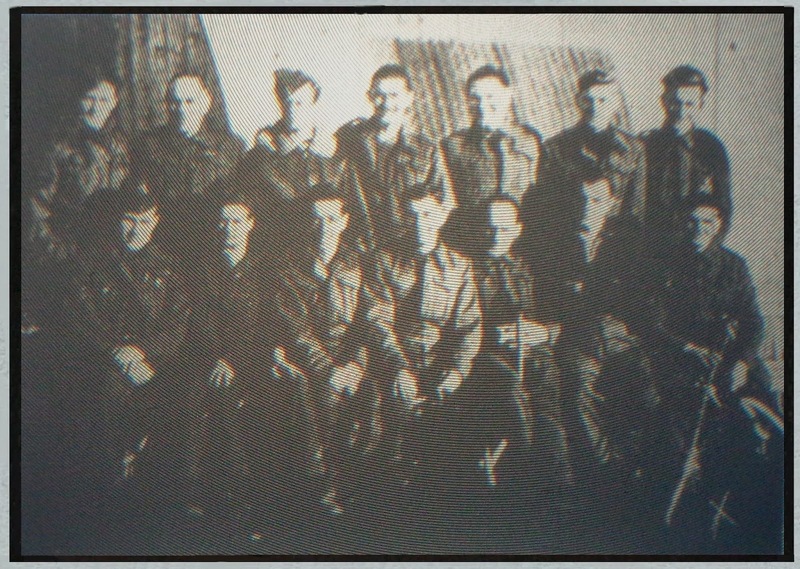 According to the newspaper article, the unnamed airman (3rd left, back row) had lost both arms and the unnamed soldier (2nd left, front row) was completely blind. After the exchange was cancelled, the men returned to their P.O.W. camp (Stalag VIII B, Lamsdorf) by train. It was over two years later (October 1943) when most of the P.O.W.s who had been due to be repatriated in 1941 actually made it back home. Sergeant Tom Rimmer, 5th Battalion The Border Regiment, was among the severely wounded P.O.W.s to be repatriated, along with Lance Corporal John Gill, also 5th Battalion The Border Regiment [Photograph No. 3]. Lance Corporal Gill had one of his feet blown off during the fighting at Dunkirk. Part of the leg then had to be amputated. Then, the Germans broke through and he became a prisoner of war. After their return to Britain Sergeant Rimmer and Lance Corporal Gill were able to give an account of their adventures, as reported in 'The Whitehaven News' (Thursday 4 November 1943). "I thought my last minute had come. A German soldier was about to bayonet me. But Harry (Drum Major Jackson) pointed out that I was badly wounded. The Jerry looked and then I was taken off to hospital." "The rations given to wounded prisoners by the Germans did not amount to much, but the women of Lille 'adopted' the Britishers. In spite of the threats of the Germans they fed the wounded from their own scanty supplies. Those 'godmothers', as they called themselves, were wonderful and they saved the lives of untold British prisoners". "For the first month in Germany things were not too bad, but for the next 10 months conditions were wretched. Our Christmas dinner was two potatoes and the water the Germans had their cabbage boiled in. I saw without fear of contradiction, that if it had not been for the Red Cross few of us would have been alive to see this day. No praise for the Red Cross is too much. With amazing regularity we got their weekly parcels of food and cigarettes and so much did we depend on them that the greatest punishment the Germans could give for any breach of regulations was the stopping of parcels." ""It was a bitter disappointment. But, half an hour later the lads were laughing and singing as though nothing had happened. That's the morale of the British prisoners." Incidentally, and perchance (!) I saw yesterday for the second time the film Atonement, based on the novel by Ian Mc Ewan. It is an amazing story, and the final scenes showing the evacuation from Dunkerque, leaving behind the wounded, as you explain so well here, is truly heart-wrenching. Fiction again helps one understand what happened for good. "Morale remained high even after the cruel disappointment at Rouen. During the whole time the lads were absolutely on top of the world. They are wonderful chaps and never for a minute did they entertain a thought that we would be beaten." Tom Rimmer told how he had arrived in Germany on 11 November 1940 - the anniversary of the Armistice of 1918. On the way to Germany they had stopped over in Belgium where the prisoners were visited by the Belgian Queen Mother. "Every time a fresh batch of prisoners came in I hobbled away on my crutches to see if there were any Cumberland lads. I would like to tell their people that all the lads are on top of the world and they are confident they will all be home perhaps sooner than you expect. It's grand to be back home. Now I've got to get down to getting down to full health and go after a job." In summary, what can be said of the treatment received by the severely wounded soldiers and airmen left behind in France after the evacuation of the main part of the British Expeditionary Force in 1940? From the different personal accounts related in this article it will be noted that in some respects their treatment was good and in other respects it was not so good. There is some evidence, certainly in the testimonies of Sergeant 'Ginger' Phillips, R.A.F., Sergeant Tom Rimmer (5th Border) and Lance Corporal John Gill (5th Border), that officers were treated better than other ranks. In spite of being badly wounded, and despite every privation and disappointment that came their way the morale of these severely wounded prisoners of the B.E.F. seems to have remained high. Above all, the help provided by both the Red Cross and the 'Godmothers' of Lille was much appreciated. In some instances the 'Godmothers of Lille' were able to assist a small number of the wounded P.O.W.s to escape from the hospital and help them travel to Unoccupied France, through Spain to Gibraltar and eventually back to Britain. The 'Godmothers of Lille' continued to support the British P.O.W.s by sending food parcels and letters to them at the camps in Germany even if they had little to spare themselves. This was a lifeline that kept the morale of the most severely wounded P.O.W.s and enabled their survival. This article is dedicated to those who helped treat the severely wounded members of the 1940 British Expeditionary Force, especially those serving with the R.A.M.C., Red Cross helpers and French civilians. (Olga Baudot de Rouville collection).